Top 4 Reasons Adulthood is the Perfect Time to Become a Brace-Face! We see it all the time folks- adults who truly believe their opportunity for orthodontic treatment has passed. They believe their teeth are too “set” to move now; that their smiles can never look as fresh and perfect as that middle-schooler showing off their grin on the CC Braces Instagram. Well, do we have news for them! 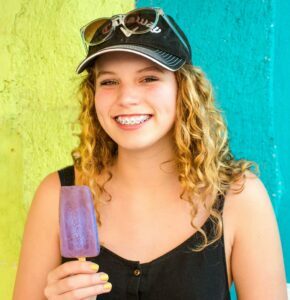 Not only do orthodontics work just as well on adults as adolescents, but at CC Braces, we actually believe that adulthood is the ideal time to join the #braceson club! Here are FOUR of the top reasons why! 4. You won’t be the only one! We admit it, braces are usually a rite-of-passage of those exciting childhood years. However, it’s not just a fashion statement for high-school hallways. 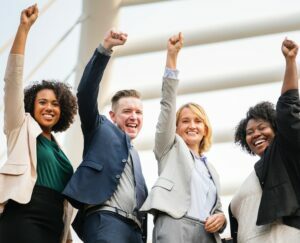 In fact, according to a recent study, as many as 27% of orthodontic patients (in the USA and Canada) are adults- and the numbers are still climbing! 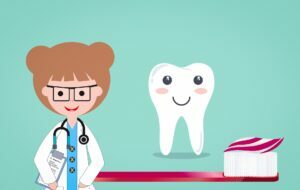 As more adults realize the health and aesthetic benefits of seeing an orthodontist, it’s becoming easier than ever to find a fellow adult brace-face. No matter your personal or professional situation, we believe that everyone has something to be achieving from having their dream smile. Adults agree with us too- 92% of patients would recommend orthodontic treatment to other adults. Braces may give you a celebrity smile, but there’s more to them than just appearance. There are also health benefits that come from having straight teeth. Misaligned teeth can hold food against your teeth in hard-to-brush places, making maintaining a healthy smile difficult even with regular brushing and flossing. This can lead to a buildup of plaque, which can cause bad breath and cavities.Gum diseases become more likely as well, and, in older adults, loss of teeth or bone in the jaw. A crooked bite can cause headaches, jaw problems, and even digestive issues. Fortunately, an orthodontist is trained to spot and correct these issues, helping you achieve a healthy, life-long smile! 2. You CAN afford it! Many adults longed for braces as a child but, unfortunately, were not able to get them at the time. Good news, adults! You’re all grown up, and braces probably aren’t as expensive as you thought. At CC Braces, we truly believe that financial obstacles should not keep anyone from having the best orthodontic care. Our dedicated financial coordinator would be happy to sit down with you and determine if braces are a possibility for you! From your free consultation to our in-house financing options, Dr. Mihalik and staff want to welcome you to explore a future with the smile you always wanted. It’s pretty simple- when you look awesome you feel great, and when you feel great you look awesome! Fortunately, braces can help you do both! The first thing people notice when they’re meeting someone new is their smile; a beautiful smile can help break the ice both personally and professionally. 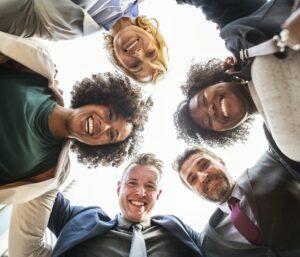 With a smile you can be proud of, you won’t have to worry about being too self-conscious to let your real smile shine or hiding a grin behind your hand again.In fact, 74% of adults claimed their lives improved as a result of their new-found self-esteem- all as a result of orthodontic treatment! Why wait- call CC Braces NOW to see what we can do for you! Lately, we've been able to feel how ready Corpus Christi is for spring! The wind is warmer, the sea looks inviting, and the bikini-clad Spring-Breakers are out in full force. The arrival of spring brings another season, however- wedding season! It goes without saying- every bride is beautiful! That being said, she and her boo have probably put quite a bit of work into their picture-perfect wedding day looks. Months of working out and dieting, and hundreds of dollars on hair and makeup, are considered normal wedding prep. But what about those smiles? At CC Braces, we believe that a stunning smile can make a good picture a great one! With the wedding right around the corner, however, it's scary to consider visiting the orthodontist to finally get that perfect smile. What if the treatment won't be done in time? Or, worse, what if the doctor thinks it'll be done in time, but there's unforseen complications? Of course, we think ALL of our #bracefaces are adorable, but we understand how a lot of couples are hesitant to risk having braces for their wedding photos. Fortunately, there’s an easy solution! CC Braces is proud to be a provider of Invisalign- the invisible alternative to braces! For the same price as traditional metal braces, Dr. Mihalik can easily provide happy couples with a system of clear retainers that slowly move and straighten your teeth! That means you can walk down the aisle WHILE actively working on your smile- and no one ever has to know! And at the reception, you can eat whatever hard, sticky food you want; Invisalign clear aligners can be removed as easily as any other retainer (just be sure to keep an eye on it while it’s out). 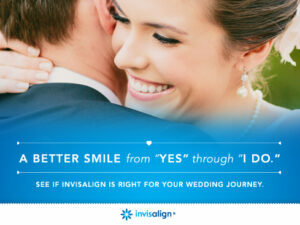 Invisalign won’t show up in your pictures, but your beautiful straight smile will! 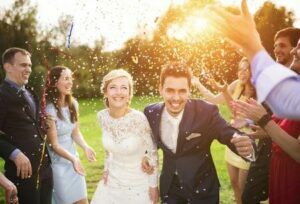 There’s more to a wedding-perfect smile than just straight teeth though; when you flash those pearly-whites, you want them to be, well, pearly white. Coffee, tea, and life in general can dull your teeth and reduce their natural shine. Fear not, though! CC Braces can also provide you with Opalescence Go teeth whitening trays. These trays are a professional version of the over-the-counter whitening strips we all know. They come in Mint and Melon flavor (instead of Bleach flavor…), are one-size-fits-all, and their discreet, clear tray can be worn out anywhere. Best of all? Your whitest smile is only about a week away! Mark your calendars for March 30, 2019! It's mudbug season again, and what better way to celebrate than with CC Braces? Before starting CC Braces, Dr. Mihalik was proud to serve as an orthodontist in the United States Air Force! Although he's retired now, he loves finding opportunities to help support our troops and give back to the armed services. 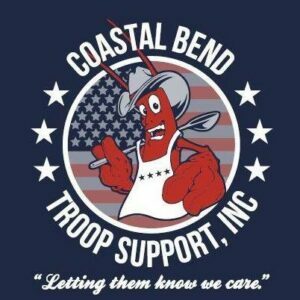 That's why CC Braces is proud to announce its sponsorship of the Coastal Bend Troop Support (N. Padre Island) Crawfish Boil and Military Tribute! Put on by the generous realty geniuses at Berkshire Hathaway Home Services, this boil-for-a-cause promises a great day! 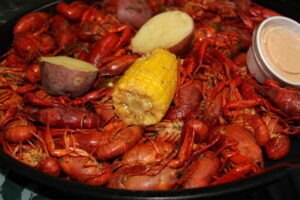 For just $20 per plate, you'll be treated to a crawfish platter with all the fixins, drinks, and plenty of family fun. Have a picky eater in the fam? Not a problem; they'll be cooking up non-crawfish, braces-friendly munchies to make sure that everyone can find something they enjoy! Don't forget to come say hi to your CC Braces friends! The best part is, all of this deliciousness is for a good cause. First, veterans are welcome to come and get a plate for FREE! An easy way to thank a vet? Instead of buying just one plate, make a donation of $40 and receive one for you and one for a veteran! 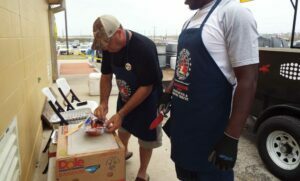 Even more, all of the proceeds go to helping the Coastal Bend Troop Support send love to our troops overseas! From care packages to Christmas stockings, CC Braces loves everything this non-profit does! CC Braces is counting down the days until we get to dig into some Crawfish for a Cause- we'll see you there! 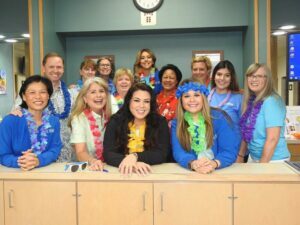 As it celebrates its one-year anniversary, local orthodontics office CC Braces shares reflections and values. CC Braces may have only officially joined the community a year ago but, to Dr. Mihalik, it feels like much longer. “After so many years of constantly moving with the military, I’m grateful to finally have a practice of my own and a city to call home. I try to pay it forward to my patients by doing everything I can to make CC Braces feel like family to everyone who comes to visit us. It’s been such a warm welcome from our patients, and we wouldn’t be able to provide such a high level of service without our incredible team.” With one year down, CC Braces is confident and ready to move into the future- creating beautiful SMILES, with a smile.